Take a look at the fascinating history of Queensland's Sugar Tramways in this compilation from rare archival railway film collections. 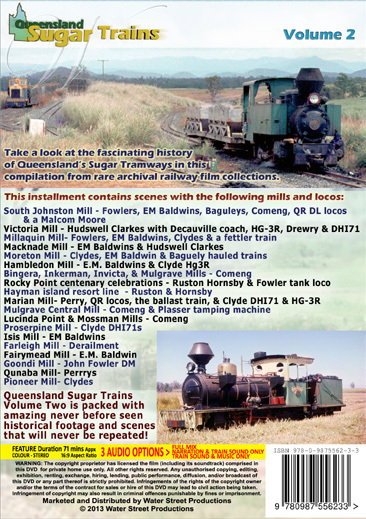 Queensland Sugar Trains VOLUME 2 features never before seen footage with scenes at Macknade Mill, South Johnstone and Hambledon mills before we take a trip to the sugar growing regions around Bundaberg with the Millaquin, Qunaba, Isis and Fairymead systems. Hambledon, Goondi, Victoria, and Invicta mills reveal amazing scenes before trains on the Inkerman, Pioneer and Mossman mill systems. At Hayman island we see Ruston & Hornsby locos operating the passenger service before more scenes on the Marian dual gauge system. There's special occasions, loco movements, derailments, and the Rocky Point Mill Centenary. Extensive Moreton Mill footage, showing the various classes of diesels that operated this system, followed by scenes at MackayOuterHarbour, LucindaPoint and the Victoria mill systems. Queensland Sugar Trains Volume two is packed with exciting rolling stock, with everything from steam, to diesel and anything in between, in scenes that will never be repeated! 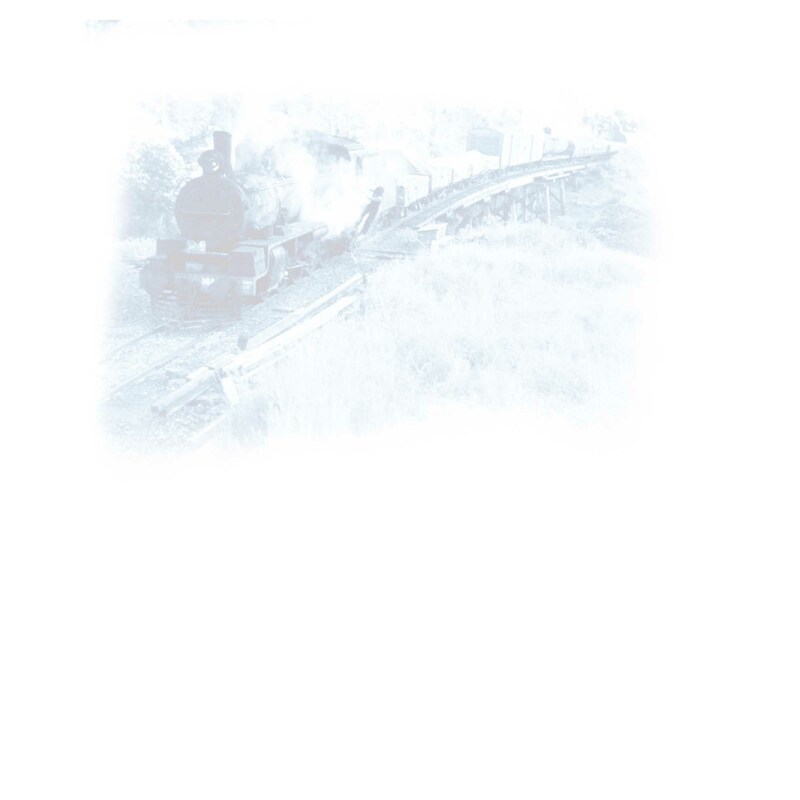 Queensland Sugar Trains Volume two – available now!